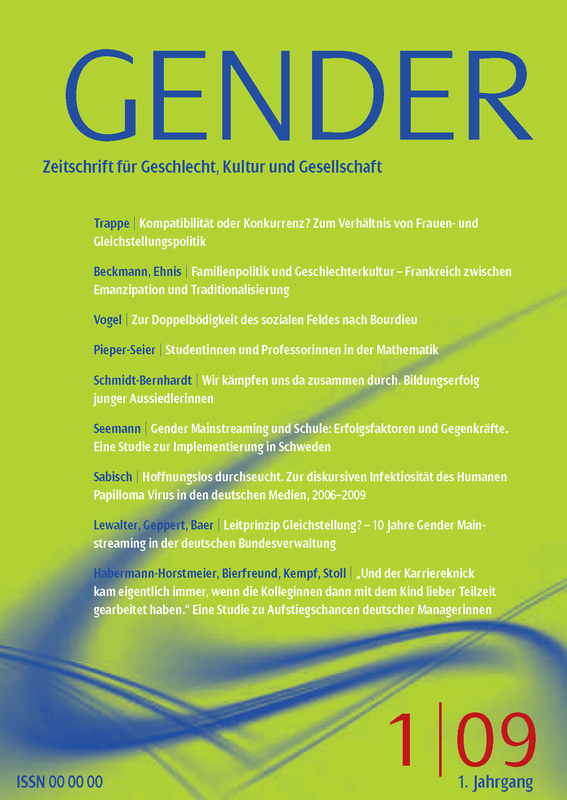 The first issue of GENDER is intended to provide a comprehensive and varied insight into current theoretical and socio-political discussions. In particular, the relationships between family policy and gender equality policy form the focus of interest. The first issue of the journal is rounded off by conference reports and reviews as well as a critical look at "10 years of gender mainstreaming in the German Federal Administration".